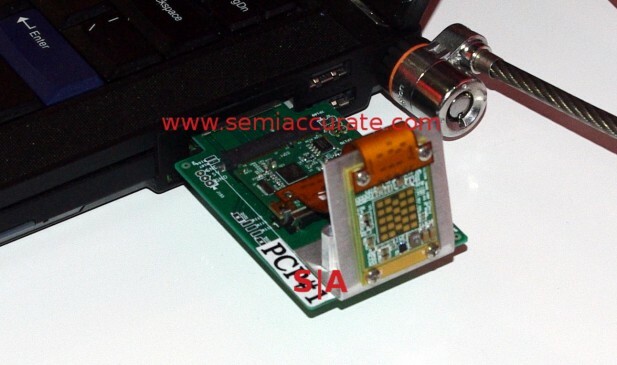 At MWC this year, Silicion Image/SiBeam were showing off lots of goodies. They included new MHL specs, USB-C Alt modes, and of course 60GHz wireless pieces. You might have missed it but Silicon Image was purchased by Lattice Semiconductor in January so I guess you can say they are following recent corporate trends. Luckily that hasn’t slowed down the products shown off too much, there were lots of goodies on display this year. The first set surrounds MHL, effectively HDMI for mobile that usually requires special cables like this which tend to limit the standard’s popularity. Actually have you ever seen an MHL cable for a mobile device in the wild? That is the problem but there is a potential fix in the works, USB-C, SuperMHL, and devices. First up is the MHL USB-C cable, it looks like a USB-C on one end, HDMI on the other. The cable specs appear to show that you only need one of the high-speed lanes for MHL data so you can still transmit USB3 data over the same cable as MHL 1, 2, and 3. 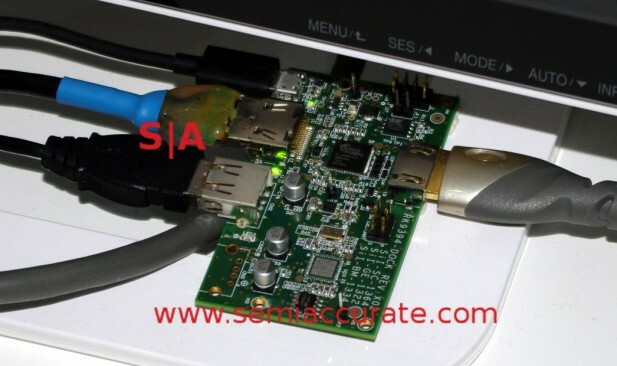 There are two chips being released, the Sil7023 and Sil7033, the former only does USB2+MHL, the latter USB3+MHL. Moving on from that we come to the newest variant of the standard, SuperMHL. This one has some interesting specs attached like 8K/120 support at 36b color depths, HDR, 48b color support, 40W of power delivery, remote control functionality, and 32 displays from one stream. It will run over a new, reversible SuperMHL, USB-C, Micro-USB, or HDMI-A cables, again a good step forward. We don’t see how any of those other than USB-C will get traction in the marketplace if the USB-C variant can support the requisite bandwidth, but someone will make them. We are not sure if SuperMHL can do the full 8K/120/36b off one USB-C high-speed lane though, that is the key question. At MWC there was a demo with early SuperMHL silicon that was doing most of the above in some form or other. OK, 8K wasn’t there but when 8K monitors come out, I am pretty sure the silicon will be in place to support it. About the only down side is the HDCP 2.2 DRM infection but good luck getting around that one. In short SuperMHL steps ahead of DP1.3 for the moment in resolution and features, game on. Moving on to the SiBeam side we come to 60GHz connections and three new chips, the SB6501, SB6312, and SB6510. The SB6501 is the baseband silicon, SB6312 is the 24-element radio phased array device pictured above, and the 6512 is a 4-element version for mobile devices. Like the rest of the 60GHz radio world, it is pretty directional and line of sight. To compensate for this, SiBeam built-in some pretty impressive beamforming capabilities as shown by the demo above. The hardware for this was a transmitter at one side of their booth mounted to a rotating post. It moved over a quite visible range, maybe 45 degrees in total, while transmitting to a fixed receiver. The beamforming pictured above was able to compensate for this movement without a problem meaning wind and vibration should be easy enough to map out for backhaul uses. The baseband is a 2.5Gbps design with 1.8Gbps bi-directional data streams being quite possible.